ChefWife BB from NYC guessed it right. 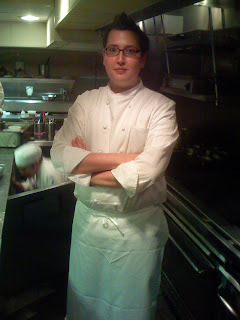 My husband Erik Battes is the chef de cuisine at Perry St. I'm so happy to be able to say it now. When I first created this blog he didn't want me to even whisper his name outloud anywhere near a computer. 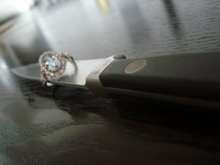 Now he proofs my posts and he even wrote one: ChefWife Husband, in September. Now don't get me wrong he still puts his foot down Ricky Ricardo style once in a while. Its not always 4 star perfection around here. Labels: Erik Battes, Perry St.
You're both OUT. That is awesome. I haven't been on in forever!! It is great to catch up on the latest. p.s. i had the time to figure out how to post here! 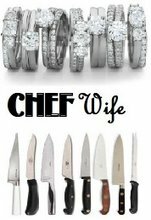 Ok, I'm a chef wife too...or as I refer to myself...restaurant widow. My hubbie is exec chef in NYC...great job, crappy hours...really crappy! you are right, we definitely need love and support. By the way...are you a teacher, DCW? Yes, I can understand why it would take some time to be willing to "out" yourself to the world. But congratulations anyway and I hope we can meet sometime! Thanks for the love ladies. I'm glad I'm out too. Yes, I'm a teacher. And desperate housewife, where does your husband work? You can email me if he is unwilling to say. 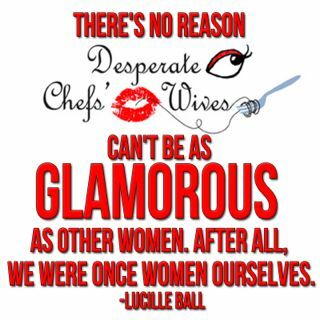 There is a chefwife in Cinci, OH who calls herself ChefWidow. Check out her blog under "Worth reading" on the left. And Naomi its so good to hear from you! You are NOT crazy! We've all been through the same drama. Welcome. I am not too privy on the titles and what they mean...Erik is the chef de cuisine, what is that compaired to what Justin Bazdarich does..or is Justin not there anymore? Thanks. Justin doesn't work at the P anymore, but he is still working for JG. Erik took over his position earlier this fall. Oooh, you are brave for outing yourselves :) Can't say I would be comfortable doing the same (both of our jobs are relatively high profile, of course mine in a completely different field). In any case, keep blogging, I love reading it (along with others' comments) so I don't have to feel crazy all alone!